Secure your future’s financial freedom by putting in place a concrete retirement plan as early as possible! Retirement to nearly everyone essentially means freedom… from the daily grind of work, from the rigid hold of a traditional 9 to 5 job …to pursue long-time dreams, to achieve new goals… a new start in life to better yourself and your life. 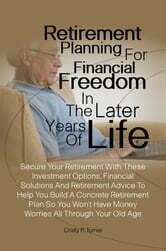 In today’s struggling economy, how can you plan thoroughly for retirement? 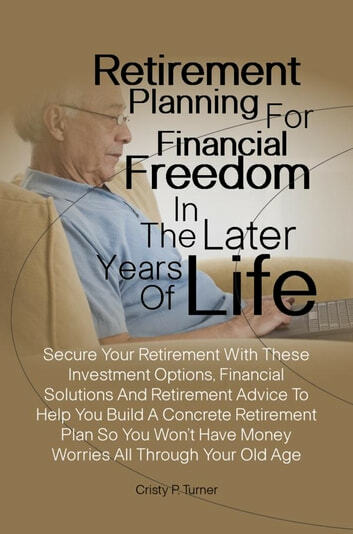 This book will aid you in mapping out a solid, flexible retirement plan which can guarantee you a secure financial future so you can enjoy the benefits of your hard-working years. Concerned with the planning process? Are you on track to retire comfortably? Do you need to save more money? How can you save that money? What retirement investment scheme is good for you? What retirement strategies are tried-and true investments in these hard and uncertain times? What can you expect when retirement time finally comes upon you? Discover all these valuable strategies and details here and you can plan your retirement like a pro minus their astronomical fees!